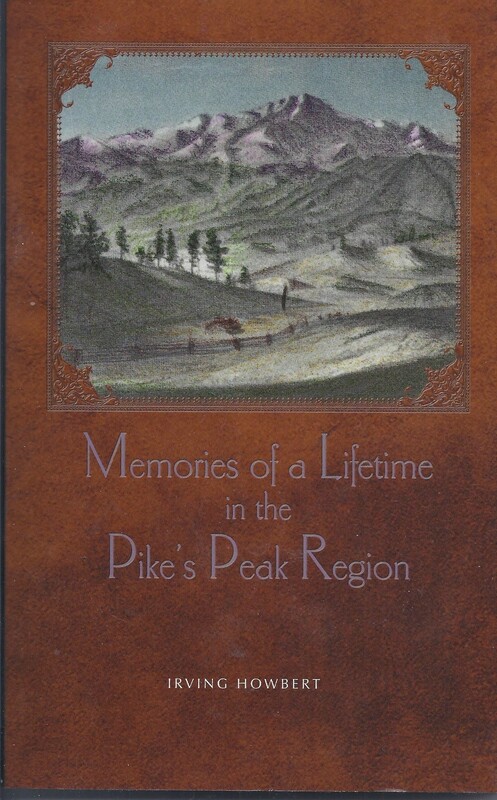 Memories of a Lifetime in the Pike's Peak Region was originally published in 1925. In 1860, at age fourteen, author Irving Howbert came to Colorado with his father. He lived in the Pike's Peak area for the next seventy-four years. Howbert writes of his experiences on the Santa Fe Trail, life in the placer mining camps of the 1859-60 Pike's Peak Gold Rush, Indian troubles including the Sand Creek Massacre in which Howbert participated as an eighteen-year-old, the coming of the railroad, and the Cripple Creek mining excitement. During the growth of Colorado Springs, Howbert served as El Paso County Clerk, built the Colorado Springs Opera House, and had many mining and business interests. It is written that no one was more influential than Howbert in the Colorado Springs area in the late 1800s and early 1900s, other than his friend and business partner, General William Palmer. In addition to memories, the author includes information from other Colorado Springs and Cripple Creek settlers and extensive research. Before his death in 1934, Howbert wrote: it has been "my privilege to watch the wonderful transformation . . . not only on the plains, but also in the mountain section of Colorado.